Are your children happy? Many parents are concerned about this question and one often hears them say, “I just want him/her to be happy.” Happiness appears to be a central goal of our culture, with the meaning of “the pursuit of” either omitted or misunderstood. Much of what is written in the popular literature for parents are prescriptions for child-rearing that supposedly will lead to happiness, considered primary among measures of success. It is interesting, therefore, to see suddenly a concern with the impact children have on their parents, and the question raised as to whether or not children make parents happy. No doubt some of this has been stimulated by a new book, “ALL JOY and NO FUN: The Paradox of Modern Parenthood,” by Jennifer Senior, which apparently explores the idea that children make parents both happier and more miserable than non-parents. At the same time, the Pew Research Center has explored the relationship between parenthood, marriage and happiness. Their findings show a much stronger link between marriage and happiness than between parenthood and happiness. A recent Pew Research survey found that among married adults those with children and those with no children were only a few percentage points apart in their reported happiness with their lives. More interesting is that in asking parents to rate the job they were doing raising their children, those who gave themselves a high rating as parents were among the most likely to say they were very happy with their lives. It seems that feeling oneself to be a good mother or father is a significant factor in feeling happy with one’s life. There is no doubt that feeling successful contributes to feeling good about oneself. Perhaps in the best sense that is the meaning of happiness. 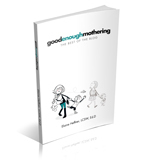 If feeling like a success as a mother or father is key, what is it that stands in the way of achieving that feeling? The focus on whether children make parents happy may be as misguided as parents’ worries about whether they are making their children happy. The examination of children’s impact on parents is a recent phenomenon. In an earlier time, the question of the impact of either on the other was completely irrelevant. But as families became smaller and children played less of an economic role in the family, these factors and others contributed to an interest in child development. This, in turn, became a focus on the way in which parents shaped the development of their children without consideration of the role of children in this process. In recent years, a great deal of research has shifted attention to the interactions between parents and children, examining the ways in which children elicit parental responses through their behavior. Beginning in infancy some babies are more challenging than others. Some are self-soothers, others are not, some are better sleepers than others, some cry more than others. New parents are faced with the challenge of coming to know and respond to their own baby rather than some inner expectation, or prescription in a book. As children grow the challenges increase. Babies become toddlers, toddlers become pre-schoolers, each stage bringing new skills, new assertions of autonomy, and new responses required of parents. Moreover, couples become families with new dynamics, new sources of potential conflict, and new demands on the adult parents to interact successfully with young children who are socially immature. Parents face the challenge of socializing children who start with the pleasure principle, and need to learn that others must be considered as well as themselves. It is the job of parents to teach them that in accordance with their developmental capabilities, while at the same time respecting their feelings and wishes when possible. Living successfully with others is a major challenge in itself, and living with children is doubly hard because it entails living with young people who are not yet able to carry out their part of the process. They are often frustrated, angry and rebellious while learning. Parents often experience children’s expressions of feelings as rebukes to themselves, as indicators of whether or not they are “good” parents. Children’s happiness as a measure of parents’ success is unreliable for many reasons. Children can be mercurial in their emotions and in the feelings they express to their parents. Parents need to consider those feelings without taking them at face value, or as a true reflection of themselves as parents. Interactions with children put us in touch with our own emotions as children provoke us by their behavior, and with the challenge of responding appropriately. Most of us do not start out knowing how to do all this. We learn from our children, just as they learn from us. Perhaps the feeling of success comes when we find the learning process working for both. This may be the real success that leads to parental happiness – and ultimately, it may lead to children’s happiness as well.